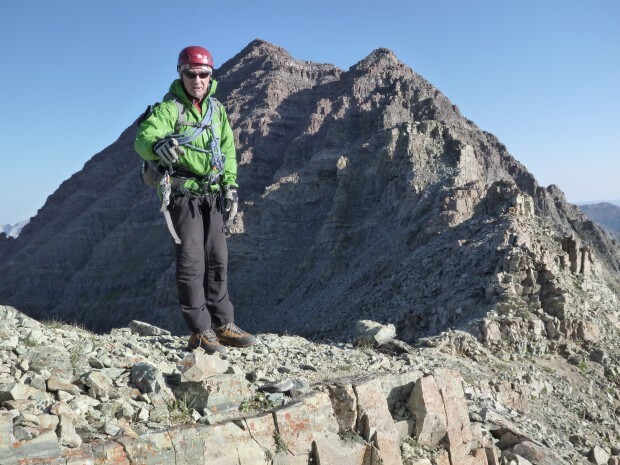 Climbing the Colorado fourteeners is an awesome experience, combining walking across wilderness, scrambling up long rocky slopes to the ridges and finally climbing rock and snow to great peaks. there are 55 fourteeners in Colorado, some easy one that can be reach in a long walking day on a well maintain trail some require some route finding but still non-technical and a few are full on mountaineering requiring extended route finding, rock or snow climbing and a very good fitness level. We offer guided ascent of some of the most striking peaks like Maroon Bells north and south peak, Pyramid peak, Capitol peak, snowmass peak,Castle and Conundrum peak. 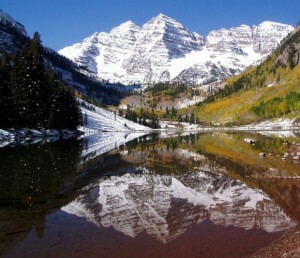 Maroon Bells traverse: South Maroon 14,156′ /North Maroon 14,014′: A great traverse with some expose rock climbing. definitely one of my favorite. Class 5 / Elevation gain 4,850′ / Maroon lake trailhead 9,600′ / length 10 miles. Bell Cord Couloir Maroon peak: If the condition are right this is a very worthwhile climb. the snow climb up the couloir is interesting and from the top you can choose the climb either South or North Maroon peak. Class 4 / elevation gain 4,556′ / Maroon lake trailhead 9,600′ / length 8 miles. North Maroon peak 14,014′ / North east ridge: This is the standard route, a great steep scramble with few short technical bits. Class 4 / elevation gain 4,500′ / Maroon lake trailhead 9,600′ / length 9.25 miles. Pyramid peak 14,018′: Fantastic day. very direct with some steep section. possibility to do the traverse require physical ability. Class 4 / elevation gain 4,500′ / Maroon lake trailhead 9,600′ / length 8 miles. Capitol peak 14,130′: Capitol has a renown section call the knife edge ridge which is a great short rock climb. overall a superb peak to climb. Better to do it in two days. Class 4 / elevation gain 5,300′ / trailhead 9,450′ / length 17 miles. Reaching the south ridge during the Maroon Bells traverse. Jean, September. 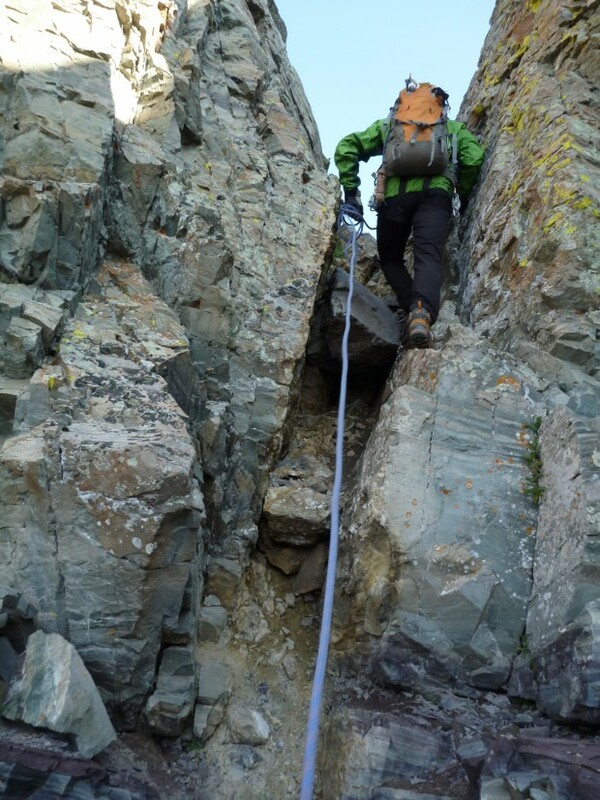 I can offer you this great climbs due to my work with Aspen Alpine guides and Crested Butte Mountain guides working under a USFS special use permit.